Merck shingles vaccine lawsuit – what are the facts? 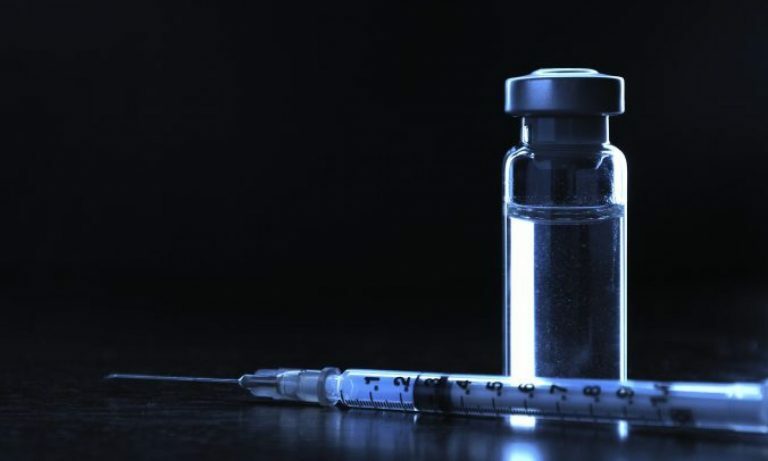 In 2016, a Merck shingles vaccine lawsuit was filed in the Court of Common Pleas in Philadelphia claiming that the plaintiff was injured by the Merck’s shingles vaccine. Since the shingles vaccine is not administered to children, it’s not covered by the National Childhood Vaccine Injury Compensation Act. Injury claims, therefore, do not go through the National Vaccine Injury Compensation Program (NVICP) before going to court. That is a mixed bag for plaintiffs: on one hand, they can go directly to state courts, something anti-vaccine activists clamor for in relation to all suits. On the other hand, they need to meet the more demanding requirements of regular courts, including showing that there was fault on the part of the manufacturer with one of the tools lawyers use to sue product manufacturers, meet the more demanding causation requirements that govern the process in state courts, and follow the rules of evidence in those courts. To remind readers, in NVICP, a petitioner (as they are referred to, while claimants in state courts are “plaintiffs”) would only need to show that the vaccine caused their harm, and their damages, and pretty much any evidence is allowed, though the Special Masters may give unreliable evidence little weight. This Merck shingles vaccine lawsuit can suggest what these claims would have to demonstrate if they actually had to go to regular courts. But at no point does the complaint clearly state what, specifically, the vaccine was supposed to have done to the plaintiff, what the injury is – we just don’t know if she developed shingles, if she is alleging acute disseminated encephalomyelitis (ADEM), or if it’s another viral illness that led to her harm, somehow caused by the vaccine. That’s a pretty big omission, and the causation analysis and evidence is going to depend heavily on which approach is taken. None of these would be easy. The NVICP compensated ADEM cases in the past (pdf). ADEM is very rare, and it can happen after a vaccine, though it’s much more common after an infection. It’s not clear if vaccines (aside from the old Pasteur rabies vaccine) cause it – and it’s more common in the young. All of these would make it hard to meet the required standard to prove causation in a court. A viral illness would raise causation questions too. Does this mean shingles? I haven’t seen the complaint claim directly that the vaccine causes shingles, though it did mention that under attenuation is a theoretical possibility. At the first part of the suit – the facts section – the complaint mentions that a live vaccine virus can be under-attenuated and cause infection. But the complaint does not in any place claim that Zostavax had an under attenuated virus. If it’s not shingles, then what is the viral illness the vaccine is supposed to cause? How would that work? Another problem with the claim is the timing. The complaint suggests that the plaintiffs’ symptoms started within 24 hours after the vaccine. But that is too short a time for a reaction to the vaccine. It takes the immune system several days to react to the presence of the virus in the body, and the virus has to replicate and reach neighboring lymph nodes. Within 24 hours, explains Dr. Paul Offit, the vaccine virus hasn’t even gone through a preliminary round of replication. The fact that the time to symptoms was so short would work against causation, as defendants’ experts should be able to point out. The lack of specificity here is also going to be a problem for the claim in another way, though not necessarily a fatal one. Complaints in both state and federal courts need to meet the standards for pleading in order to survive a motion to dismiss or a demurrer. A motion to dismiss is a request by (in this case) the defendant to kick a case out because even if we assume everything the plaintiff said is true, they didn’t make a valid legal claim that would entitle them to what they’re asking for. Pennsylvania’s standard for assessing if a complaint should be dismissed is what is called a fact standard. Some states use a “notice” standard, which only requires that defendant get a notice of what is being alleged. In these states, it may be harder to dismiss a complaint with a motion to dismiss, and more cases would proceed to discovery. But in states like Pennsylvania that use a fact standard, the complaint needs to allege enough facts to support the claim and show that the plaintiff has a cause of action. This makes it harder for plaintiffs to get to the discovery stage: they need to have certain knowledge in order to be able to get there, and cannot bring a generalized claim and then “go fishing” in the defendant’s documents. When the complaint – as here – doesn’t make it clear what the injury the vaccine was supposed to cause the plaintiff was, it’s arguably not stating such facts, and shouldn’t go forward in its current form. However, in reality, in both cases, chances are plaintiffs will get a chance to amend the complaint. How they amend it will affect what they need to show. Once the injury is clearly stated, there may be, as mentioned, serious causation problems with it. In a regular court case, when someone is suing a company claiming a product caused injury, there are a number of claims they can use – none of which are easy. In NVICP, this step is skipped: petitioner does not need to show fault on the part of the manufacturer, just that the vaccine caused the harm and what were the damages. The complaint here tries to cover a set of potential claims against the manufacturer. A quick overview of these claims can show how big a break NVICP gives petitioners. That’s very general, and it’s not clear exactly what the unreasonable behavior was. If there was under-attenuation and the claim is that the vaccine caused shingles – and that’s not stated in the complaint – maybe that’s what would be considered the unreasonable behavior. You could argue that selling a vaccine with an under attenuated virus is negligence – but you do have to claim that the vaccine was under attenuated. This may sound like a technicality, but it’s not: if the claim is that Merck was negligent because the vaccine causes shingles, the plaintiffs will have to show that the vaccine causes shingles, that Merck should have known that, and that the vaccine did, in fact, cause shingles to the plaintiff. Any part of this could run into difficulty. If the claim is not shingles, what exactly is the negligence? Right now, this is extremely unclear. Arguably, in its current form the complaint doesn’t actually have enough fact to make a negligence claim, which should make this part fail under the pleading standard discussed above. Merck failed to exercise due care in the labeling of Zostavax and failed to issue to consumers and/or their healthcare providers adequate warnings as to the risk of serious bodily injury, including viral infection, resulting from its use. The package insert does include the following language: “The following adverse experiences in the AE Monitoring Substudy of the SPS (Days 0 to 42 postvaccination) were reported at an incidence ≥1% and greater in subjects who received ZOSTAVAX than in subjects who received placebo, respectively: respiratory infection (65 [1.9%] vs. 55 [1.7%]), fever (59 [1.8%] vs. 53 [1.6%]), flu syndrome (57 [1.7%] vs. 52 [1.6%]), diarrhea (51 [1.5%] vs. 41 [1.3%]), rhinitis (46 [1.4%] vs. 36 [1.1%]), skin disorder (35 [1.1%] vs. 31 [1.0%]), respiratory disorder (35 [1.1%] vs. 27 [0.8%]), asthenia (32 [1.0%] vs. 14 [0.4%])”. However, it does not mention viral illness as a potential risk elsewhere. In part, because it’s not clear – and is unlikely – the vaccine causes viral illnesses. Viral illness is not one of the risks the CDC mentions for the vaccine, which suggests experts don’t see it as one of its risks. Inserts do mention risks seen in trials, even without clear evidence of causality. If the claim is that the vaccine caused a viral illness and Merck should have known it could, there may be room to debate whether this is a reasonable enough warning (putting aside, for now, the causation issue). But it’s not clear-cut, and the causation problems – showing the vaccine actually caused a viral illness that isn’t shingles – would be considerable. A design defect claim suggests that the product, as designed, is unreasonably dangerous. Courts generally used one of two tests to assess this. A minority of courts use a consumer expectations test, asking whether the product was more dangerous than a consumer could have expected. Most courts use a risk/utility test, which asks “whether the magnitude of the risk created by the dangerous condition of the product is outweighed by the social utility attained by putting it out in this fashion.” (Suter v. San Angelo Foundry & Mach. Co., 81 N.J. 150, 181, 406 A.2d 140, 155 (1979)) Since pretty much every product balances risk and utility, no product being risk free, and many having costs in utility if they’re made safer, it’s usually expected that plaintiffs point to an alternative safer design that doesn’t sacrifice utility too much. For example, theoretically any knife can be made much safer by blunting it. But a blunt knife isn’t as useful as a sharp knife. Just saying “you could have made the knife blunter, and therefore safer” would not show a design defect. Merck knew and had reason to know that its Zostavax vaccine was inherently defective and unreasonably dangerous as designed, formulated, and manufactured by Merck, and when used and administered in the form manufactured and distributed by Merck, and in the manner instructed by Merck to be used and administered to the Plaintiff and other consumers. Reads very boilerplate, and doesn’t tell us what about the vaccine was defective or unreasonably dangerous. The fact session mentions that VAERS reports for the vaccine included viral infection and ADEM. I guess that could suggest a risk of those exist even though the complaint does not clearly say that, and there may be problems at the proof stage: as those familiar with VAERS know, raw VAERS reports are unverified reports that do not show causation with the vaccine, and may have nothing to do with it. I guess if the court wanted to be extremely generous it could treat mentioning harms from a variety of sources that don’t actually show causation from the vaccines as suggesting that maybe the vaccine had risks that outweigh its utility. Aside from the problems in stating the claim, it’s a good idea to remember that Zostavax was licensed by the FDA on the grounds that its benefits outweighed its risks, and recommended by ACIP for use on similar grounds. Plaintiffs will claim the risks outweigh the benefits. But they may face an uphill battle, since the agencies in questions do make their decisions based on extensive amounts of data, and that data would be easily available to Merck’s experts. This, too, will not be an easy claim. Merck knew, or should have known, and adequately warned that its product created a risk of serious and dangerous side effects, including but not limited to, viral infection, resulting in shingles, postherpetic neuralgia, or other diseases of the nervous system. As I mentioned above, it’s not clear that there was not warning. Breach of implied and express warranty are both contractual claims that suggest that the manufacturer promised something as to the safety of the product, and that claim was untrue. In this case, the express warranty appears to be the manufacturer’s statement that the vaccine did not cause shingles. Of course, one problem with that is that the claim doesn’t actually say Ms. Bentley got shingles. It does state somewhere that the vaccine caused her harms, but if Ms. Bentley’s harm wasn’t shingles, it’s not clear how an express warranty was breached. The implied warranty was, apparently, that the vaccine was safe. So if the plaintiffs can show that the vaccine isn’t safe – not a trivial thing, and not well stated in the complaint – they can probably show a breach of that warranty. This section claims Merck misrepresented two things. One is that it misrepresented the fact that the vaccine can cause a viral illness. It’s not clear the vaccine can; but the paragraph quoted above from the insert is probably close enough to negate a claim of misrepresentation on this score. The second part is that Merck knew that the vaccine causes shingles (again, something that is not quite clear the vaccine does, and the complaint doesn’t say the plaintiff had shingels). It also said that Merck misrepresented the vaccine as safe, but the insert doesn’t pretend it’s 100% safe: it mentioned potential adverse events. I’d be interested to see them prove this. The claim here is actually clearer. The risk appears to be that “the administration of this vaccine increased the risk of viral infection.” It’s not clear that the vaccine does do that. If it does, the paragraph above from the insert that mentioned viral illness may make it hard to argue that if Merck knew this, it misrepresented that fact. For the rest, it’s mostly claims that Merck knew that the vaccine could cause serious harm such as that that happened to the plaintiff and didn’t warn of it. Again, there may be obstacles in proving both parts. The complaint also ends by saying that plaintiff paid Merck for a safe and effective vaccine and didn’t get it. That claim doesn’t seem to add anything independent. The Merck shingles vaccine lawsuit – naturally and correctly – raises as many legal claims as possible against Merck, trying to catch the problem with the product and fulfill the requirement that plaintiff show fault. It has a gaping hole, in that it doesn’t make it clear what the vaccine was supposed to do to the plaintiffs. But even if that hole is fixed, it faces a long, hard road to proof of fault, and to proving causation. Not impossible, but it’s very far from a sure win. To remind people, most product liability claims lose. This is one substantial hurdle petitioners to VICP are spared. Another issue here is that like most tort claims, this is likely a claim paid for by contingency fee. This means that if plaintiff wins, 30-50% of her win will go to her lawyers. If she loses, her lawyers will get not direct fee, but she will be expected to pay the costs, including the costs of experts. In VICP, the program covers both lawyer fees – even if you lose – and costs, with some limits. It’s too early to know where this complaint will go. It needs to be amended to clarify what the alleged injury is before it can advanced, and potentially amended in other ways, too. It’s uncontroversial that if the vaccine was defective and did cause an injury, plaintiff should be compensated. But even now, this discussion can suggest some of the difficulties the plaintiff on her way to proving that. On April 17, 2016, a federal judge dismissed one of the cases brought in federal court against Merck following the shingles vaccines. The case was filed by Mr. Juday, and was dismissed for being filed past the statute of limitations deadline. Statutes of limitations limit the time in which a plaintiff can file a claim. Here, the applicable statute when there are two jurisdictions (Pennsylvania, where Merck is, and Indiana, where plaintiff lives) is the shorter of the two – which is two years from any of the claim. Since Mr. Juday discovered his injury – connected his problem to the vaccine – in March 2014, filing in April 2014 was outside the statute, and is barred. This does not affect the other open claims against the shingle vaccine. Editor’s note – this article was first published in March 2017. It will be updated as necessary as cases move forward.